This week’s guest is author and lawyer Ralph Nader. (Note: this interview was recorded in April 2012.) A pioneer in the field of consumer advocacy, Nader is a a four-time U.S. Presidential candidate. He ran in 1996 and 2000 on the Green Party ticket. During a very close election in 2000, he was accused of taking votes away from democrat Al Gore. He ran again in 2004 and 2008 as an independent. 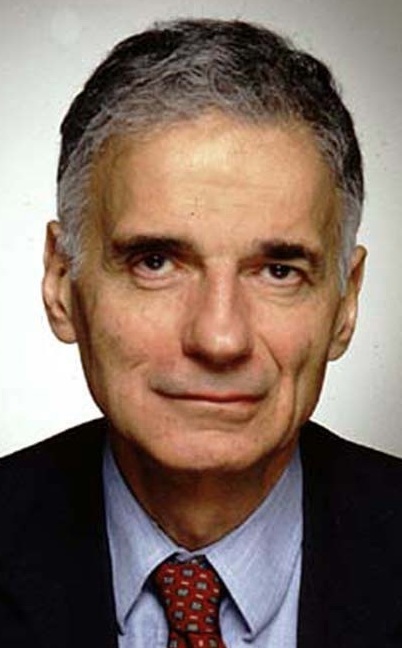 Nader has helped pass several bills and written many books on the subject of consumer safety. The conversation covers the need for higher wages (Nader mentions timeforaraise.org), the weaknesses of the Occupy movement, the tenets of Nader’s book Only The Super-Rich Can Save Us and his forthcoming book 17 Solutions (fall 2012), nuclear weapons, the lack of free health care in the U.S. and what it costs the nation, and the Trans-Pacific Partnership. Read Dr. Brian Moench’s article America: A Fire Sale to Foreign Corporations. Nader and Dr. Caldicott also address the role of greed and the “monetized mind,” global warming’s effect on the poor, and how communities can create small economies that reduce the role of giant corporate entities. Nader mentions that listeners can receive his weekly column if they sign up at nader.org and they can read his presidential platform to compare it to those of the current candidates at votenader.org. For more information, be sure to listen to Dr. Caldicott’s August 2010 conversation with Nader. The last 10 minutes of the program include an excerpt from a 2009 speech Dr. Caldicott gave in Middlebury, Vermont. She addresses the dangers of nuclear power, focused on the aging Vermont Yankee plant on the Massachusetts/Vermont border. This entry was posted on Friday, August 24th, 2012 at 12:00 am	and is filed under Uncategorized. You can follow any responses to this entry through the RSS 2.0 feed. Both comments and pings are currently closed.